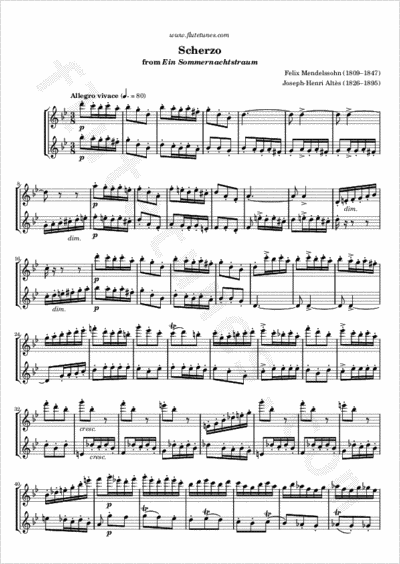 Today we propose an arrangement for two flutes of the Scherzo from Felix Mendelssohn's A Midsummer Night's Dream. This transcription is part of the 26 Selected Studies for the flute by French flutist and composer Joseph-Henri Altès. Many thanks to Peter for contributing this piece!